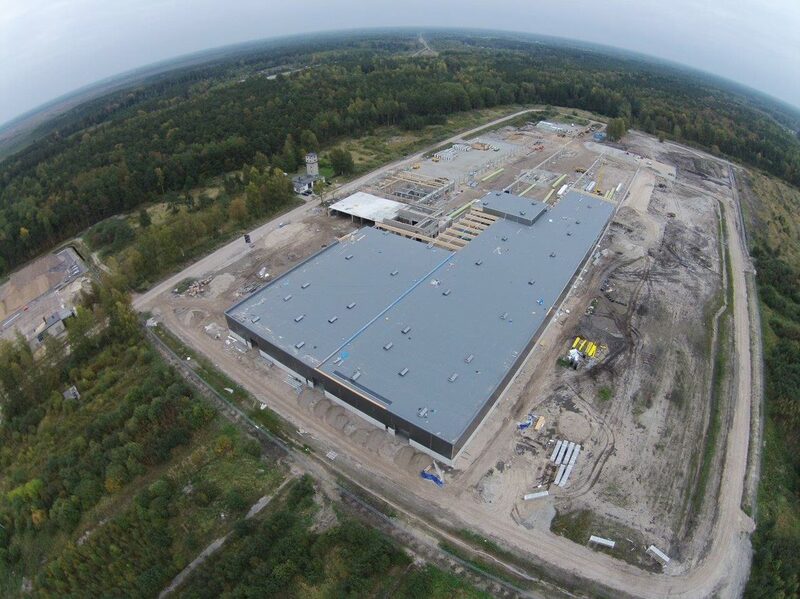 Timbeco installed timber roofing panels on the building of Metsäwood plywood factory. 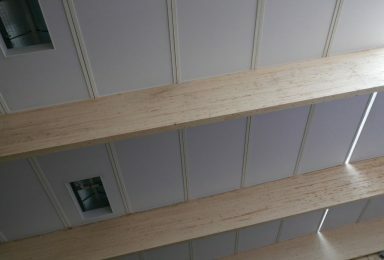 The load-bearing structures of the building are made of reinforced concrete and the roofing panels are supported by laminated timber beams. 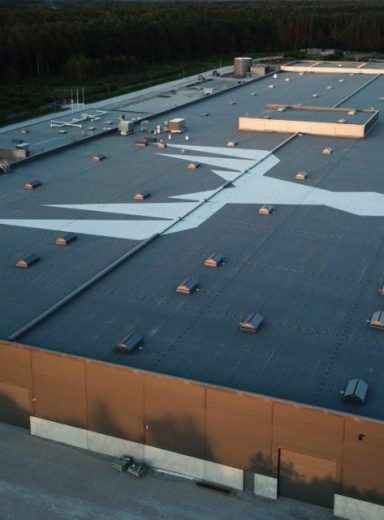 The roofing panels were manufactured to the level of maximum preparedness at the factory and covered will rolled material, only the joints were filled on-site. 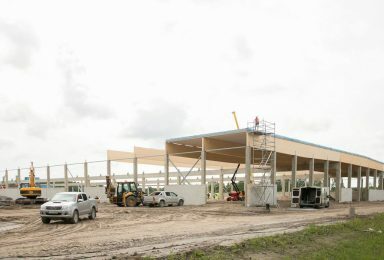 The construction budget of the entire project is 14 million euros and the factory will be opened in August 2018. 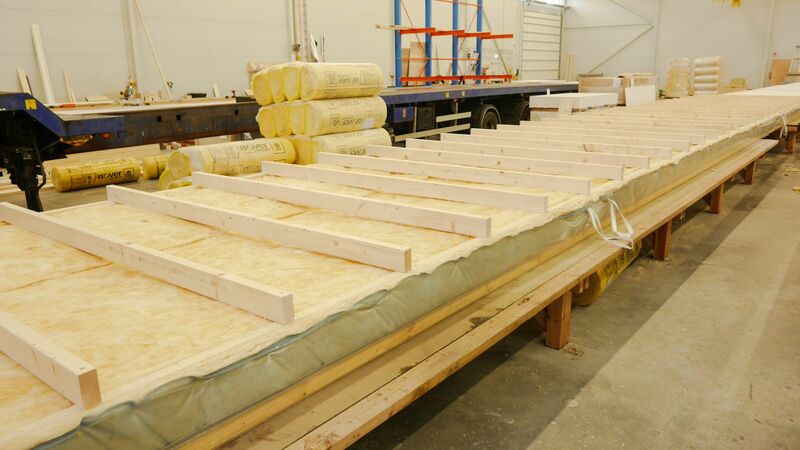 The roofing panels are ventilated panels on timber structure, which are covered with the final roofing material at the factory. 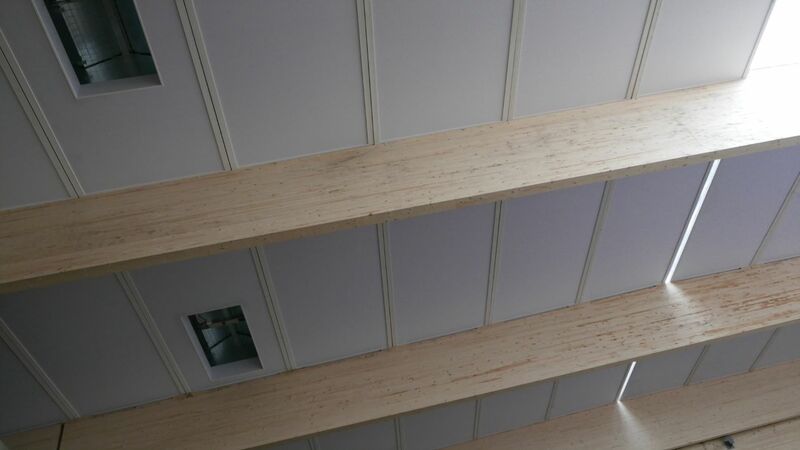 Interior finishing panels are also pre-installed. 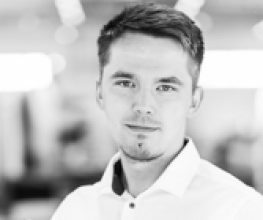 The technical solution was developed by the designers of Timbeco in cooperation with experts in the field. 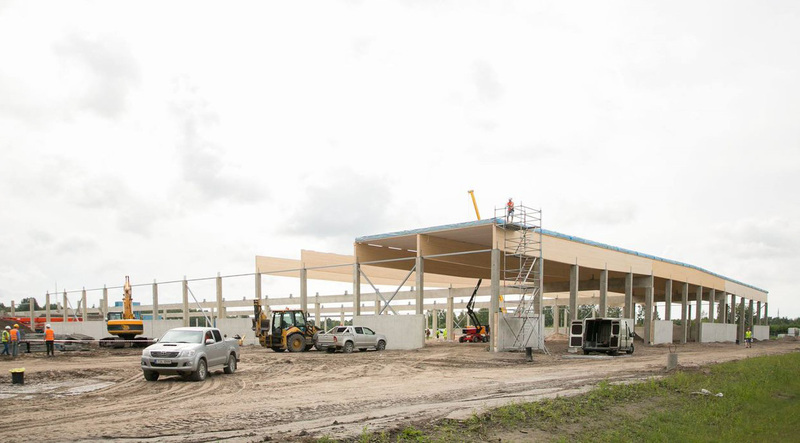 The set included thermally insulated roofing panels on wooden structures, covered with rolled material, smoke hatches, and parapet elements. 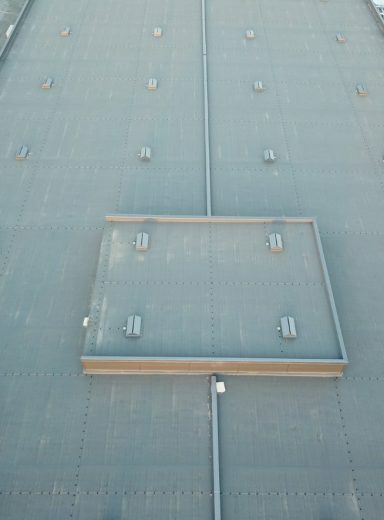 The smoke hatches and parapet elements were installed on-site. 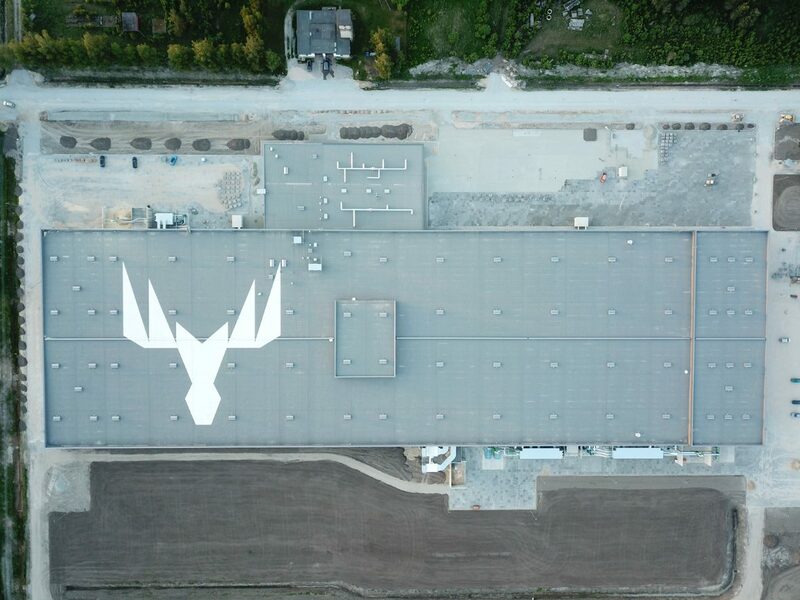 With one crane and an installation team, it is possible to install 15–20 large roofing panels in 24 hours. 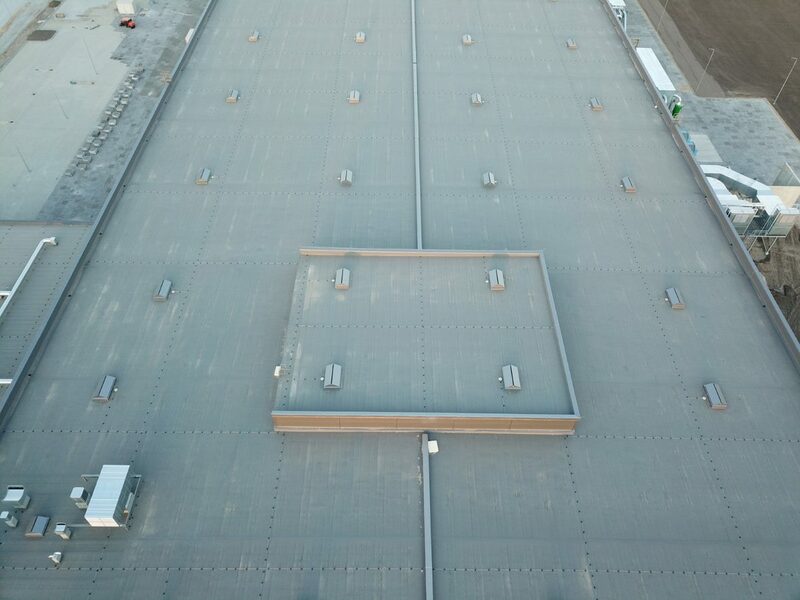 Immediately after installation of the roofing panels, the joints were filled in order to gradually turn the building weatherproof. 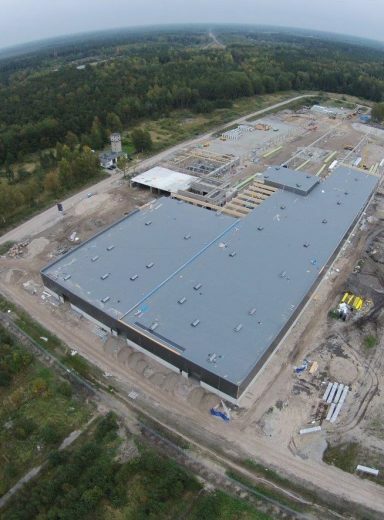 Using timber roofing elements on large buildings with concrete structures significantly improves the pace of the construction works and thereby reduces the budget of the construction works. 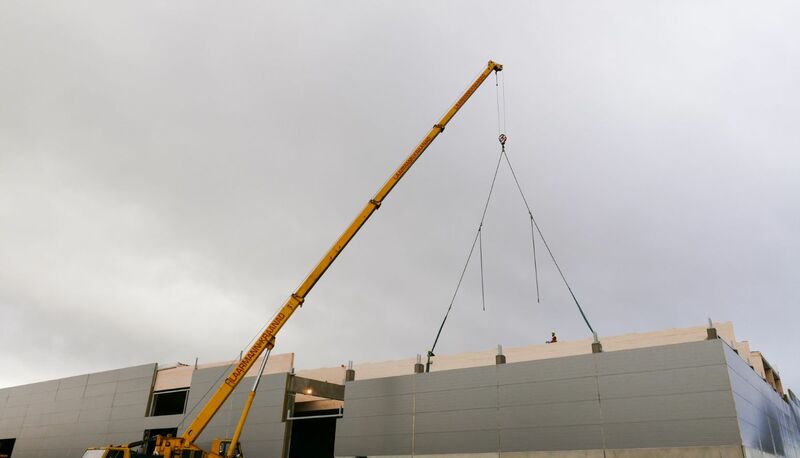 A great advantage of prefabricated timber panels is the fact that all structures are manufactured in dry conditions and protected from the impacts of weather conditions. 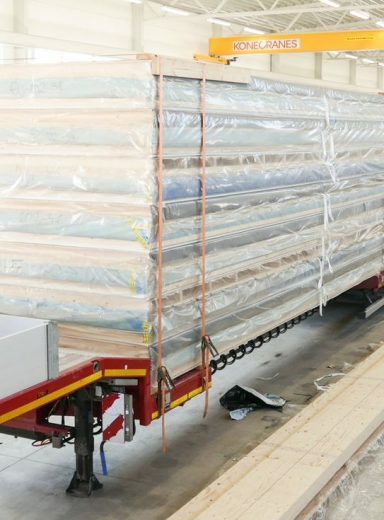 The timber panels are also delivered to the site under a weatherproof cover. 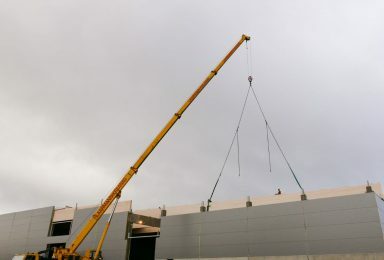 The production of the panels will begin at the factory while the ground and concreting works are still being conducted on the site. 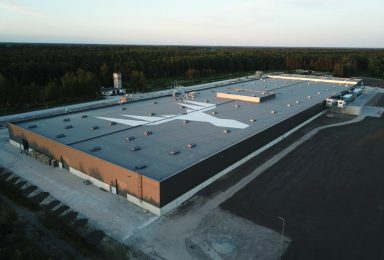 The prerequisites for building hybrid structures are the well-considered choice of materials and thorough design, as well as the approved BIM models. 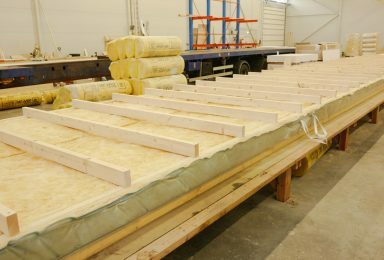 As a rule, the sooner the manufacturer of timber elements is involved in the designing process, the better the final outcome. 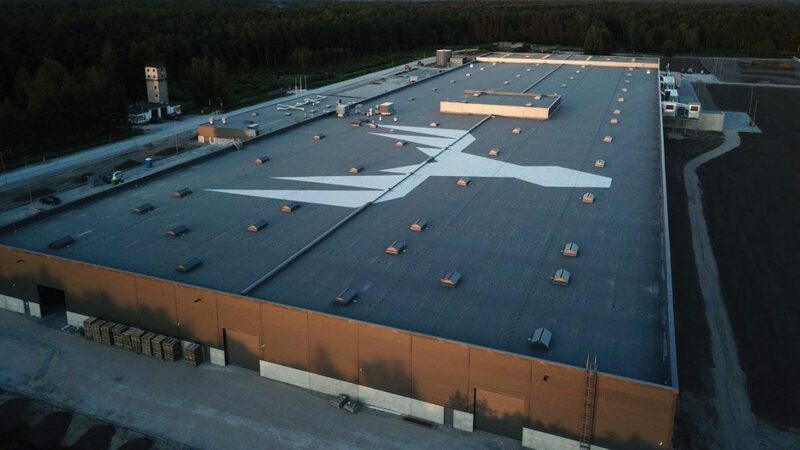 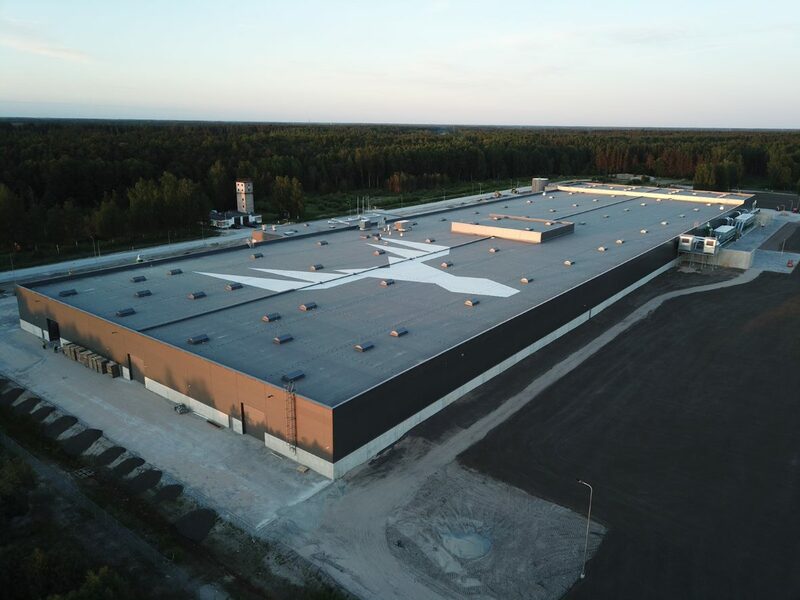 Timbeco installed the roofing panels of the Metsäwood industrial building in autumn, faced with unstable weather conditions and a short installation period. 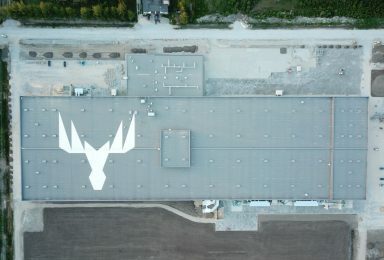 The maximum preparedness of the roofing panels allowed us to fulfil our goals and to install the panels at the time when it would not have been possible to install a traditional flat roof.